Program & Producers, a feature available for Radio Mobile Apps & Websites, is offered as an Addon for all mobile plans and is a built-in component for radio websites. You can purchase this Addon for mobile plans by logging in to your account and clicking Get Addons. On radio websites, program and producers can be added to the menu whereas on mobile apps each radio station has separate tabs with them. 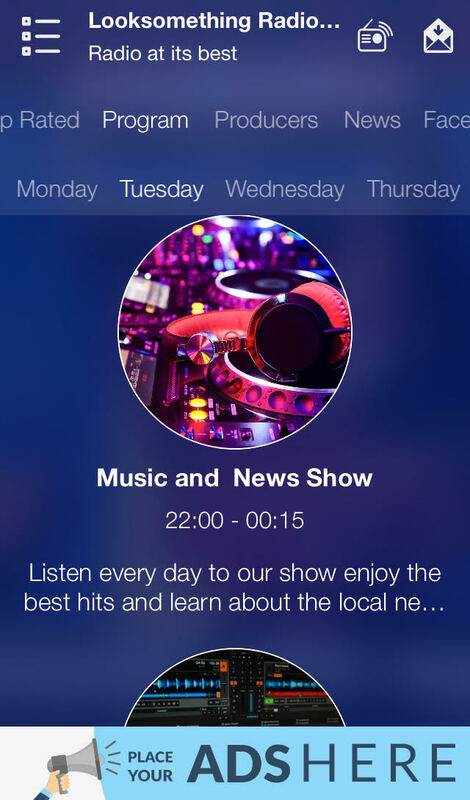 Program allows you to add and display your radio station's weekly & daily program. Each radio program has a title, running days and hours, with a minimum duration of 5 minutes, a short and a long description (HTML supported) and an image. What is more, various URLs (e.g. the program's social media networks, website etc.) can be included, if desired; they will be displayed as icons below the main description. Titles and description can be translated into other languages if the relevant Addon is activated. Please note that all program running hours will be automatically adjusted to conform with each user's mobile device time. You can view the program video tutorial and learn how to create and modify your radio program by clicking here. 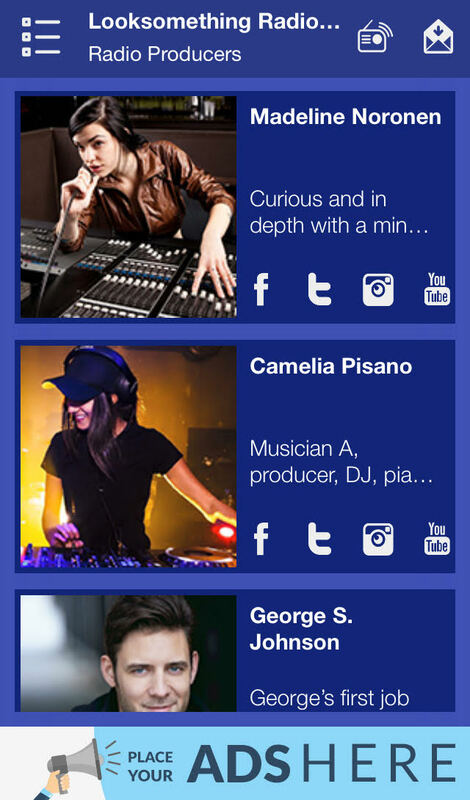 Producers is a feature that allows you to create and display your radio producers, DJs etc. Each producer has a title, a short and a long description (HTML supported) and an image. What is more, various URLs (e.g. the producer's social media networks, website etc.) can be included, if desired; they will be displayed as icons below the main description. Titles and description can be translated into other languages if the relevant Addon is activated. You can view the producers video tutorial and learn how to create and modify producer items by clicking here.